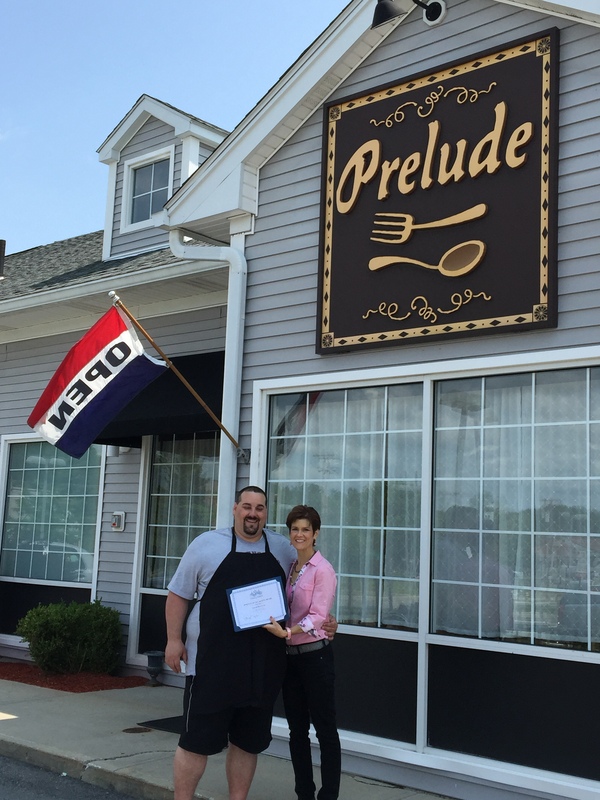 Prelude is being recognized by the Chamber due to Chef Grella’s continued support of local business and non-profit organizations. Using his culinary skills, Grella has supported many fundraising events and charitable efforts by donating cooking demonstrations, prepared foods and meeting space within his restaurant. In addition, Grella regularly supports local events with donations of gift certificates for raffles. 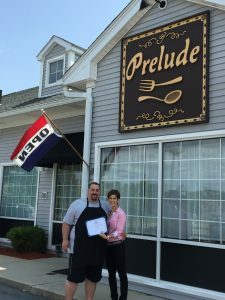 Prelude is a small Restaurant located on the triple border of Methuen, Salem NH and Haverhill. Owners Tom Grella, Executive Chef and General Manager, and Andy Tucker created this tasty gastro-fusion style restaurant back in 2012. Offering the highest quality dishes and an outstanding selection of cocktails, fine wines and craft beers, it has quickly become a local favorite. The restaurant is small but cozy, offering 52 seats including 10 at the bar, 8 seats at high-tops behind the bar, and booths and tables in the dining room. 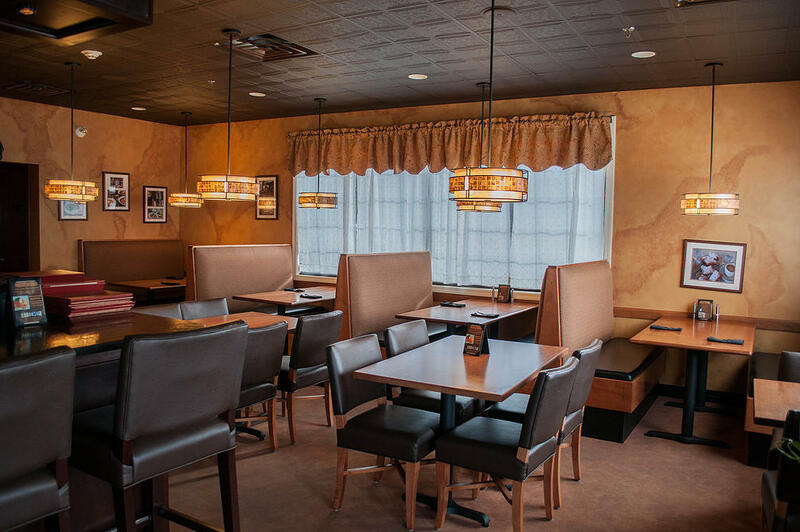 Small parties can be accommodated and reservations are encouraged. Award winners are recognized in area newspapers highlighting their distinction as Business of the Month, receive a complimentary guest ticket to the Greater Haverhill Chamber of Commerce’s exclusive “Annual Business Awards Breakfast” and are automatically entered into the running for the Annual Business of the Year award. That honor is announced during the annual breakfast which has been scheduled for February 5, 2016.